The creators of 2017's impressive cult hit joins the growing roster of Xbox studios. In surprise E3 news, Xbox's Phil Spencer just announced that Microsoft has acquired Ninja Theory. The Cambridge-based studio is best known for Hellblade, DmC, Enslaved: Journey to the West and Heavenly Sword on PS3. 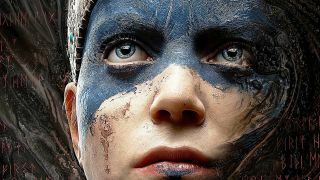 Hellblade is perhaps its most notable success to date, winning multiple BAFTAs and selling over half a million copies. Ninja Theory joins Compulsion Games, Playground Games and Undead Labs in the growing roster of Microsoft studios, which also includes a new Santa Monica Studio called The Initiative. Can't wait to hear about what Ninja Theory will be working on next, although the studio's chief creative director Tameem Antoniades did hint at what's in the works when I spoke to him earlier this year.